In preparation for Cannabis Patients Alliance Day at the Capitol, we emailed a personal invitation to every Colorado Senator and Representative. Now it’s your turn. Do you know who represents you at the Capitol? Find out who your representatives are by using the tools here. Invite them to Patients Day. Email them an invitation to meet with you on Patients Day. Here’s a sample email you can use. I live in your district and would appreciate the opportunity to meet with you. I will be attending Cannabis Patients Alliance Day at the Capitol on Tuesday, January 26. I’d like to invite you and your staff to come down to Room 111 sometime between 11:00 and 2:00 for pizza, sandwiches and a friendly chat. If you would prefer, we could make an appointment that day when I could meet you in your office. I know you have a busy schedule and appreciate your time. As a constituent, I’m really looking forward to talking with you about the benefits of medical marijuana and the challenges patients face every day. Please let me know if you or a staff member will be available to attend, even if it’s just to stop by for a few minutes, and if we can make an appointment to meet in your office. Thank you for your time and consideration. The most important point in your email is that you are a constituent, that you live in their district. Remember, they represent you. If you can’t be there the entire time, let them know when you will be there and encourage them to meet you then. If you won’t be there, encourage them to attend anyway to meet other patients. Offer to meet them in their office for a one-on-one if they can’t make it down to the event. Face-to-face meetings can be intimidating the first time, so we will have people available to go with you if you’d like. Be polite and respectful in your communication… always. You’re inviting them to have a conversation with you, not challenging them to a duel. Keep it short. Legislators and staff receive hundreds of emails a day, so get to the point. This is not the time to go on about your position on issues. 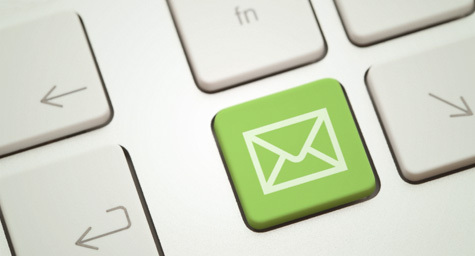 The objective of your email is to invite them to the event for a conversation. Now you’ve got your advocacy assignment. Get those emails sent out and let us know what you hear back.